Bogata in ponosna zgodovina, ki se skozi desetletja nenehno nadgrajuje in ki ne pozna meja. 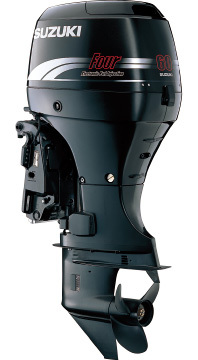 The DT5 was released as a compact 5-horsepower outboard motor. 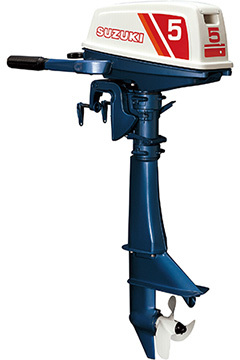 Mounted 2-cylinder engine on, while 1-cylinder had been used for conventional 5-horsepower outboard motor at that time, it delivered powerful propulsion. 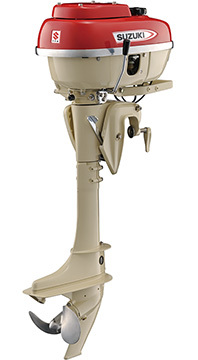 The DT25 was a water-cooled outboard motor which adopted a thermostat to enable efficient cooling. The electric starter model of the DT25 was also available. DT200 Exanté won the first “Most Innovative Products” award from the show’s sponsor, the National Marine Manufacturers association (NMMA). DF60 and DF70 won the “NMMA Innovation Award” from the International Marine Trades Exhibit and Conference. 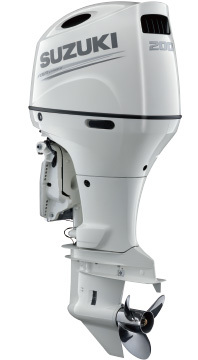 DF250 is the industry’s first 250PS (184kW) 4-stroke outboard. 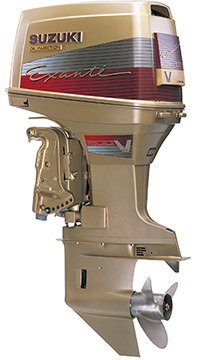 DF200/225/250 (3,614cc), the first Suzuki 4-stroke V6 outboards were revealed. DF250 won the “NMMA Innovation Award” at the 2003 International Miami Boat Show. 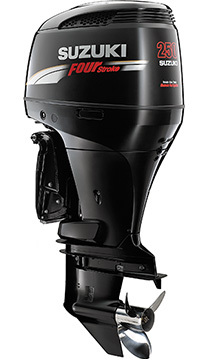 DF300 is the industry’s first 300HP V6 4-stroke outboard, and the first outboard to utilize an electronic remote control. DF300 is the winner, the “NMMA 2006 Innovation Award”. 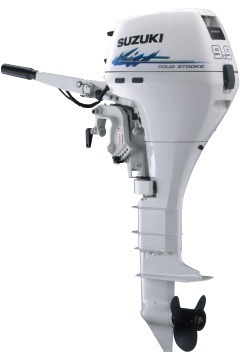 DF200A/DF200AP are 4-stroke outboard motors based on in-line 4-cylinder engine of the DF175. In addition, DF200AP has adopted the Suzuki Selective Rotation, the world’s first technology to integrate both regular and counter rotations of a propeller. The control system utilizes electronic throttle and shift systems. 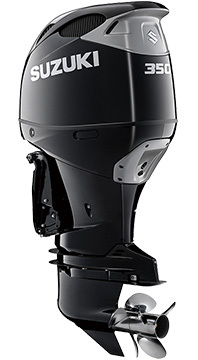 Suzuki introduces DF350A 350 HP V6 4-stroke outboard. 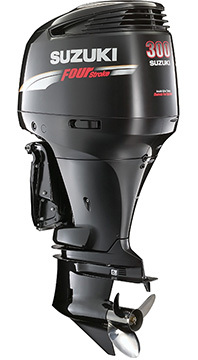 New Flagship Model Features Innovative Contra-Rotating Propellers, More Exclusive Features. DF350A is the winner, the “NMMA 2017 Innovation Award”.